Contributing to the success of Hawkeye Traders are these dedicated staff members, who collaboratively work to bring you superb customer and technical support. From their vast experience and diverse backgrounds, our highly qualified staff strive to make sure our Hawkeye Customers are treated with respect, prompt attention to detail, and swift solutions to any issues they encounter. Johanna directs all aspects of customer support within the Hawkeye team and for all our customers. She’s usually the first person you’ll speak to when you have problems with installation, licensing, payments or any other administrative issues. 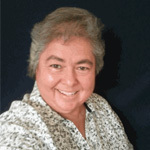 She manages our internal processes and is responsible for the day to day running of our customer and license databases. Johanna started her career in the buying department of a large clothing chain where she was responsible for socks and scrunchies (amongst other accessories). She quickly moved into human resources at Schroders, an international investment bank. Her role was predominantly IT focused and she was responsible for implementing and supporting HR systems in London, New York, Singapore, Tokyo and Sydney. After nearly a decade in banking, she moved to Mercer Consulting, providing human resources operations consultancy advice to a range of national and international companies. Johanna has a BA(Hons) in Philosophy and Literature from the University of Warwick. Martin is our programmer, responsible for all the technical heavy lifting in Hawkeye. 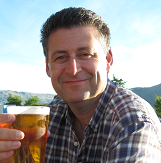 He develops Hawkeye for all our trading platforms including TradeStation, NinjaTrader, MetaTrader 4, eSignal and MultiCharts, as well as the back-end work on our licensing and database systems. Martin started his career with Chicago Research & Trading (see The New Market Wizards by Jack D. Schwager) in their London office as a Technical Support Wizard (yes, that really was his job title). He then moved to J P Morgan providing trading floor technical support before moving into project management and technology leadership roles in Europe. He moved to a technology consultancy before starting his own technology business providing trading floor support and technical project management for international banks across Europe. He got the trading bug during the dot com boom and hung on in there during the dot com bust. After several years trading he spent more and more time assisting people with technical issues around their trading and eventually decided that he’d go back to his technical roots. He has provided technical and programming support to thousands of traders. Martin has a BSc in Computer and Management Sciences and grows a fine mustache every Movember. Trading currencies for nearly a decade, Deb has gathered extensive knowledge of the markets, what makes currencies move, and how to trade safely. She looks forward to empowering other day traders in the Hawkeye family and helping them achieve the consistency and confidence they need in order to become successful traders in their own right. Deb loves the technical aspect of her job, in fact, the geekier the better. Deb spends much of her day helping other traders set up MetaTrader, NinjaTrader and TradeStation platforms. Not only that, but after 34 years in the computer industry, she knows a thing or two (maybe three) about the Windows Operating System and computers in general (having designed them from scratch). Those were in the days of resistors and capacitors! With a wealth of technical experience stretching back many years, and a B.S. in Electronics Engineering, Deb is waiting, ready and eager to help you get started quickly and easily with Hawkeye and your new trading career, wherever you are in the world.